Rogers has announced its Ignite Gigabit Internet is now available for customers in St. John’s, Newfoundland. The Internet offers speeds up to one Gigabit per second, available to residential and business customers. “Rogers Ignite Internet is ideal for these connected households with multiple devices – at top speeds, customers can download an HD movie in less than 30 seconds, a full album in less than one second, and a game in about five minutes,” said Kelly Atkinson, Executive Vice President of Residential Services, Rogers. 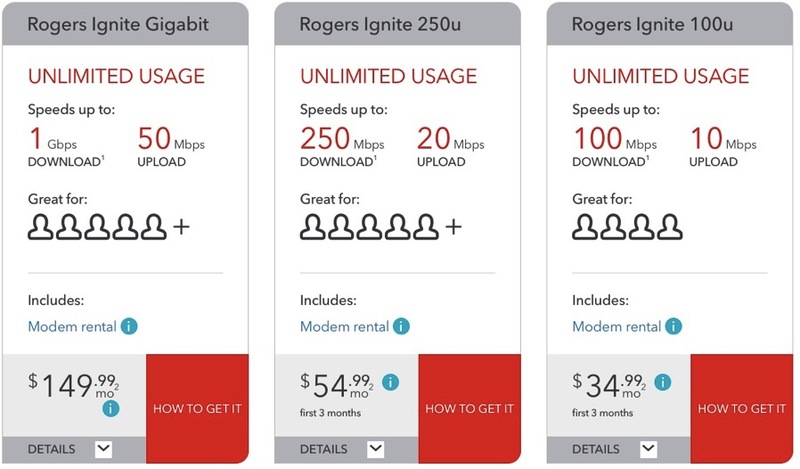 Rogers Ignite Gigabit offers download speeds of up to 1 Gbps and upload of up to 50 Mbps, for $149.99 per month. Rogers says Gigabit Ignite Internet is now available to over 3.5 million homes in Canada, with more to come.